Founded by the French Aristocrat Baron Pierre De Coubertin in 1894 with the first games held in 1896 in Athens Greece, the Olympics Movement is considered the most important international sports competition where sportsmen from virtually every country compete in many disciplines to win medals and sporting prestige for their countries. Although professing to be beyond the pale of politics, the Olympic Games has had its fair share of politicization, which saw its biggest expression in the 1980 Moscow Olympic Games, where the US and its western allies boycotted the games to protest the Russian invasion of Afghanistan. The Russians and their allies responded by boycotting the Los Angeles Olympics four years later in 1984. Never mind that no one followed the American precedent of 1980 to boycott the 2004 Athens Olympics in protest of the US invasion of Iraq in 2003 and American participation in the 2004 games. In 2016 just as the Rio Olympics are starting, we have come again near the brink of gross politicization of the Olympics that involves a concerted geopolitical sport attack on the Russians by the “World” Anti-Doping Agency (WADA), the IAAF, the US Anti-Doping Agency (USADA) and other western sports institutions. These organizations have called for a blanket ban on the entire Russian Olympic team due to several Russian track and field athletes testing positive for some banned substances. Never mind that collective punishment ensnaring innocent sportsmen is unethical. The background to this odious politicization is linked to events that began in 2013. The Doping Committee of the All Russian Athletics Federation slapped a two-year ban on Russian athlete Yulia Stepanova (nee Rusanova) for using prohibited substances (which appeared in her blood samples). Seeking revenge, Ms. Stepanova surfaced in a documentary, Geheimsache Doping — Wie Russland seine Sieger Macht made by the German filmmaker Hajo Seppelt, where she alleged the collusion of Russian officials in a systematic doping program. The former head of the Moscow Antidoping laboratory Grigori Rodchenkov was in collusion with some athletes believed to be deeply involved in doping. Rodchenkov, who had been under criminal investigations by the Russian authorities since 2012 for doping related offences, fled to the west in January 2016 to avoid prosecution in Russia. A close relative of his who worked under his supervision in the Anti-Doping lab was convicted in Russia of trafficking anabolic steroids. Based on the spurious testimony of this convicted man Mr. Rodchenkov and the dopist Ms. Stepanova, the western-dominated and controlled WADA issued a report alleging a Russian government sponsored doping program. It is interesting and makes you wonder why the Russian government would begin to prosecute Mr. Rodchenkov in 2012 for helping athletes dope long before the IAAF and WADA would know about it, if the program was indeed Russian government sponsored. Acting on a well-synchronized cue from WADA, the IAAF banned the entire Russian track and field team from taking part in international sporting events. The IAAF and USADA then called for a blanket ban on the entire Russian Olympic team, disregarding the presumption of innocence and issuing a collective punishment on sportsmen and women not remotely connected to the entire doping scandal. USADA, led by one Mr. Travis Tygart, arrogated to itself the right to have the entire Russian Olympic team banned. The head of the International Olympic Committee (IOC) Thomas Bach and the executive board of the IOC wisely refused the deranged demands of WADA and USADA to ban the entire Russian Olympic Team. It is of note that before this IOC executive board decision on the participation of the Russian Olympic team in the Rio Games, almost all western mainstream media announced that the IOC was going to ban the entire team. 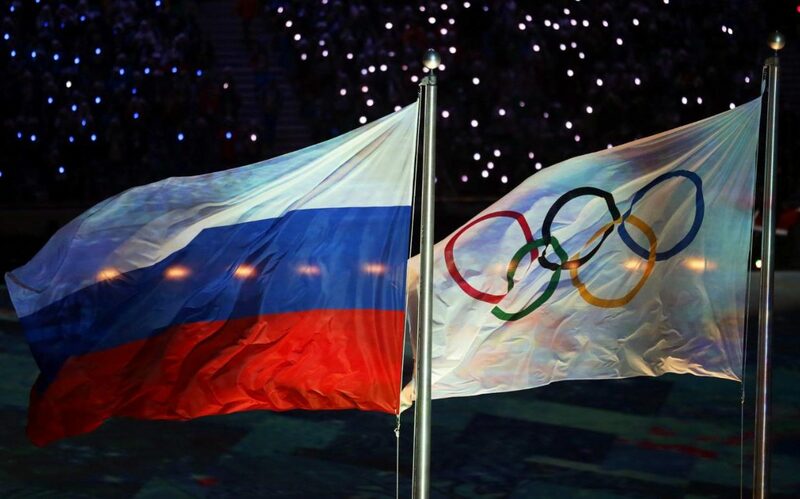 However, the IOC refused to take the media bait and allowed the Russian team to take part in the Olympics with the exception of the entire Russian track and field team which has been banned by the IAAF in a gross application of an odious collective punishment due to some Russian track and field athletes testing positive for banned substances. The IOC took this decision because it understands that such gross politicization of sports by the west will further weaken western control over global sports and will lead to nonwestern nations creating their own international sports events. In fact, the official Chinese authorities came out strongly in a statement calling on the west not to politicize the Olympics and global sports. This was a subtle warning to the western-dominated sports organizations. U.S. sprinter Justin Gatlin is the U.S.’s best hope for a medal in one of the Olympics’s showcase events, the 100-meter dash. Gatlin is taking part in the games even though he’s served two doping bans in the past. The IOC ruled that only Russian athletes with clean drug records could compete, if they were cleared by the relevant sports body concerned. The campaign by these western-owned, so-called international sports organizations is not only directed against Russia but also against Africa. In fact, in February 2016, a certain Englishman who goes by the name of “Lord” Coe and is said to be the head of the IAAF threatened to ban Kenyan athletes from the Olympics just like the Russians if they did not comply with so-called IAAF doping rules. I guess since the English can’t run, they need to find ways of banning the Kenyans so that their westerners could win their pseudo gold medals in the middle distance and long distance events. The IAAF later dropped that threat probably realizing that banning Kenyan athletes who dominate these events would drive the final nail in the credibility of the so-called IAAF. Curiously, the IAAF began to pay inordinate attention to Jamaica with IAAF committees visiting Jamaica under the suspicion that Jamaican athletes were involved in doping. I guess if you can’t beat them, you accuse them of doping! Now the head of WADA has come out to confess that the agency’s own initial report does not support the involvement of the Russian state in the doping program as he had earlier claimed. But still the Russian track and field team will not participate in the Olympics while Justin Gatlin who has served two doping bans and other US track and field athletes will travel to Rio to try and win their pseudo gold medals. What should Africans make of this sordid event? Maybe we should seriously begin to contemplate reorganizing The All-Africa Games so that it would replace the Olympics as the main sporting event for Africans—an event that should be based not singularly on modern sports but also on traditional African sports, of which there are many. The west can enjoy its Olympics; after all it was an all-European affair when it started in Greece more than two thousand years ago. If you follow geopolitics as studiously as Jehuti Nefekare does, it’s hard to miss the historical politicization of the Olympics. The West versus the Soviets, America versus Russia, America versus the World and so on. Bar swimming and other equally extravagant sports played at the Olympics, western Europe barely shows in track and field without African assistance. Russian women are the only Europeans who seem capable of keeping up with their African counterparts in the sprints and the mid-range events. Western Europe is particularly un-ranked. Still, the East and North Africans completely dominate the long distance as the West Africans (and the Diaspora) dominate the short distances. But for a country that is the most racist in the world, the United States, where white supremacist thinking has infused state and federal policy-making since its founding, Empire building is becoming thoroughly unpredictable, as it continues to treat African Americans as second class citizens. The US is attacking Russia on all fronts. The Olympics is one such front. The New Cold War is in full swing and the West is using both old and new tactics, in order to demonize and discredit all of its opponents: from Russia to China, Venezuela, North Korea, South Africa, Kenya and Iran. This Olympics is just one such example. Since all Empire building is based on deception, to this point perhaps it’s time to put the Olympics into the proper perspective for western Empire sycophants: The Olympics has for some time been Africa (and the Diaspora) versus the World. Like it or not. Jehuti Nefekare cleverly constructed article. To them politics is a number game, the more they influence more mind to buy into ideas…. politics has started. That is why they like using phrases like “Universalism” ,”world order”. This has been the ancient Greek style of politics. The day Olympics was accepted as an Universal idea for people to participate in the game, began the political chess game project. I think what Africa lack now is not ideas but how to lobby our ideas to be accepted by our own continent is a problem, to the extent of winning the west…..
You have proposed a nice idea but do you have what it takes to influence the continental minds? the only smart way for Africa to dominate in global politics. We have the numbers as a continent but cannot convince them to buy into ideas. My brother that is how porous we are. I will paraphrase: Africa does not lack ideas. What it lacks is a medium through which to communicate profound ideas to her masses. That point is reiterated in the essay, “Our Historic Fall,” on Grandmother Africa. It is important to know that we are singing to the wrong choir! We ought to find a way to reach our masses. The way to do that is to bring small and big ideas to the local level in the local languages in easily digestible and accessible format. If my grandmother can read her Bible in Twi, she sure can read “Our Historic Fall” in Twi. Reaching the masses is the cornerstone of the foundation upon which Grandmother Africa’s vision and mission is based. We hope that in a few years we will be able to reach our masses with all the fine essays that our scribes continue to pen. Whatever the change it is that we want, it lies here – in the ability to adequately inform the masses. Politics and sports or sports diplomacy has reached deafening levels of negativity. No doubt the builders of Empire in the USA are committed to using it to reach their clandestine and ultimately-doomed-to-fail goals. But, sports is also the place where stupid ideologies like white supremacy are exposed. So while I agree that African nations ought to start taking sports diplomacy seriously, I think it is a dangerous idea to separate from the rest of the world. If they can’t see you daily breaking their foundations of their cankerous ideologies, those things fester and become bigger problems. Europe is known for producing cankerous ideas – ideas that destroy people and the planet! If you are good at something you keep enticing people to play. You don’t separate. You teach with superiority. It’s a kind of nonlinear warfare. Separation/Segregation is not a good political or social tactic of prolonged war! For a long time I have always thought that Africa could use sports, especially the Olympics to finally put the last nail in that coffin that is white supremacy. Alas, it continues. But, that is no reason to quit. I welcome the idea of a strong African Games. Of course, a strong African games will put us in the position to win more medals at the Olympics. While at it, we must also become more represented at the upper echelons of the organizing committees of these world governing bodies. Definitely Africa needs representation on the Olympic organizing committees and in organizations like FIFA. We also need to be represented refereeing these games. In the World Cup I have seen too many yellow cards given to African teams and too many free kicks and penalties given to their opponents. They have to be that much better to win in football or else they are carded out of play. This would stop if we had representation in those arenas. In sports like track there’s definitely a clear place to show strength and dominance. But what happens? The US, the UK, and even Middle Eastern countries use their money and resources to fund our talented people. Not that Nigeria didn’t have oil money for generations that could have generously supported athletics and training. But Africa does not put its resources to investment enough in people, so the people go elsewhere. Even the All Africa track games is largely uneventful but it could be the feature matchup like how the English premiere league is viewed around the globe, if only our leaders and our millionaires and billionaires cared enough. How to lobby our leaders to invest in our people–whether it is compete in sports, to make cars, or to pave roads–is the multimillion dollar question. I can’t say more in view of the flow of the article and how much it teaches us how goalposts are shifted to the convinience of a few in a small corner of the world. Jehuti did a wonderful job. Without any disrespect meant, I’d like to add that this same efforts to undermine non western entities in the politisisation of sports also manifested in how wild they have speculated on whether Brazil, the place outside Africa with the higest black population, was fit to handle the Olympic Games. Until it opened yesterday, many western media, BBC included, doubted if Brazil was ready. Even broadcasters in Ghana expressed that fear mongering they spread around the world. Let’s also not forget how they treated the Brazil’s woman president, who was instrumental in putting up the 2014 football World Cup and did everything for this Olympics to happen. A rrecent coup de tat against ensure a pimp took over the country. Lastly, we should also take into consideration how many western sports men, especially diva golfers, who feel they are better than everyone claimed fear of Zika virus to stay away from the Olympics in Brazil though medical researchers have clearly said there was no danger. As Roselyn suggests, we would see a totally different “medal count” if it were restricted to events that needed no fancy, expensive equipment but only relied on the body and a ball (track, football). World sports that everyone plays compared to made up “sporting events” that are only practiced among certain nations. That’s probably part of the reason why there are so many swimming events for the same distance–it’s a sport in which Africans rarely participate.